This is it. Trump's declared a nationwide war on wolves. He's pulling the plug on saving America's wolves. His plan will strip Endangered Species Act protection from nearly every wolf in the lower 48. Here's what will happen next: We'll return to the days when wolves were shot on sight, crushed in steel traps and poisoned with their families in their dens. Thousands of wolves will die. And more than four decades of work to save these iconic animals will come to a screeching, bloody halt. It's unacceptable, and we must stand up against it. Across the country these smart, social animals are still just getting a toehold on survival after being driven to the brink of extinction. Only a single known wolf pack lives wild in all of California, where packs once roamed free. In the few places where wolves exist today they still face persecution. States beholden to special interests are eager to let them be hunted, trapped and poisoned with the same kind of violence that nearly drove them extinct more than a century ago. Remember what happened after Trump ended protection for Yellowstone's grizzly bears. The state of Wyoming quickly launched a plan to let trophy hunters shoot more than 20 bears that wandered out of the national park. Thankfully the Center for Biological Diversity and wildlife activists like you stopped the grizzly hunt. We have to do the same for Trump's plan for our wolves — or we risk putting this beloved species on the path toward extinction once again. I stand against Trump's plans to end wolf protection across the country. Wolves and other wildlife are important to me and crucial to the health of America's wilderness. Over the past 40 years, wolves have been returning and recovering in places like the Rocky Mountains, Great Lakes states and the West Coast. Wolves play a vital role in keeping the ecosystems around them in balance, keeping elk and deer populations healthy, improving riparian vegetation, and even enhancing habitat for beavers, songbirds, frogs and fish.. It's an important conservation success — but this work is not complete. The plan by Trump's U.S. Fish and Wildlife Service to end protection for nearly every wolf in the lower 48 states will be a devastating blow to wolf recovery, and a return to the days when wolves were shot on sight, killed in traps and relentlessly persecuted. 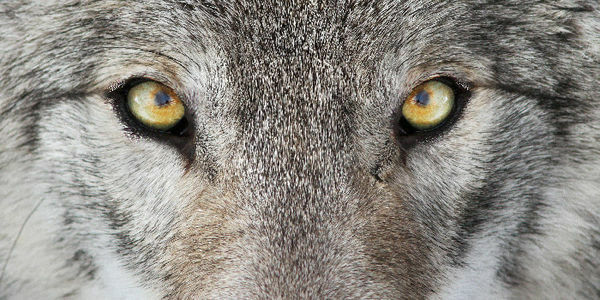 Wolves deserve better — and the wild places wolves keep healthy need them. I urge you to halt these plans.